The Royal Laurentien, a unique golf course designed by an enthusiast! The history of the Royal Laurentien golf course is both unique and wonderful. Of all the courses in this book, this is the only one which was not created by an architect. Gabriel Ménard, a passionate amateur golfer, is the sole architect of this magnificent course. He drew up the development plans in his mind, imagining thousands of possibilities. And to ensure that everything would conform to his vision, he built it himself. For months and months, early every morning, Gabriel Ménard found himself on his bulldozer reshaping the grounds to create the space that would become, a few years later, thousands of golfers’ favorite course. It is also a family success. His wife and their three children have become valuable partners in the adventure. As a family, they gathered their forces to conduct manual tasks, build and prepare the layout of the 18 holes. 20 years later, the children are now actively involved in the development and the management of the business. Gabriel Ménard is still present, continuously improving his land and dreaming-up new projects. Inaugurated in 1989, the Royal Laurentien is breathtakingly beautiful. Carved out of the Laurentian mountains, the course presents different game situations on each hole. It offers challenges to golfers of all levels, with numerous sand traps, water holes present on 15 holes, elevated teeing greens and well protected greens. This golf course is especially notable for the exceptional quality of its course, which offers impeccable playing conditions and a spectacular and ingenious landscaping. View photos here , of this jewel of the Laurentian region, which cumulates honors, praise and admiration from the golfing community for its exceptional design. To offer you an exceptional environment for a remarkable visit, whether you play a round of golf, host your wedding, hold a corporate meeting or stay in one of our 4-star rental cottages for your family vacation. A top-quality customer service to meet your every expectation, offered by friendly, honest and solicitous staff. Our company is socially involved and accountable. 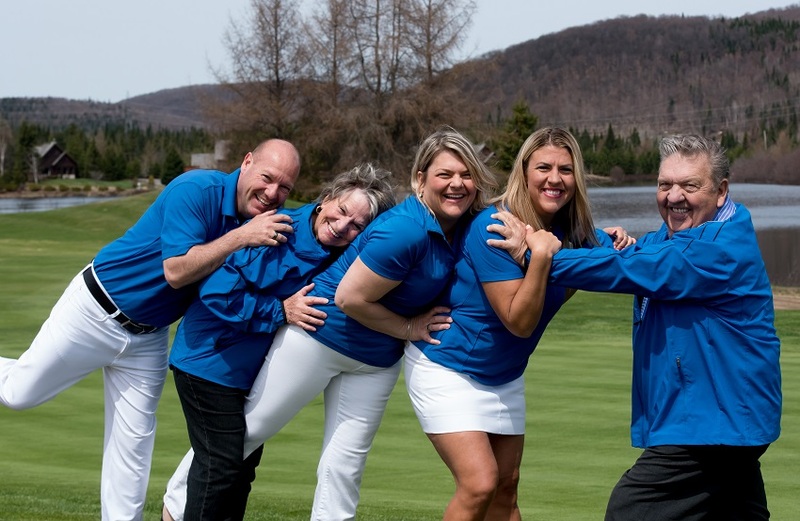 We strive to be the best in the Mont-Tremblant area.